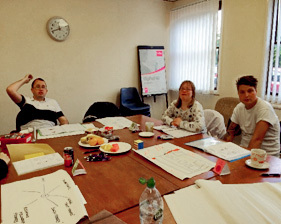 Disability West Lothian has provided courses for both individuals and practitioners who work with people who have a disability, throughout the year. 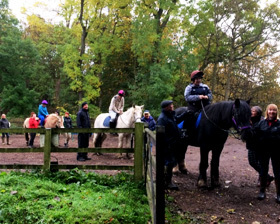 This 16-week course, aimed at young adults with a learning disability, worked with participants in managing their own mental health, as well as learning the skills needed to provide emotional and social support to their peers. Over the weeks students developed the skills to increase positive mental and emotional well-being by learning self-help techniques, sharing real life experiences as well as accessing a variety of activities within the Community. The class also discussed the issues and worries faced by young adults in society today and learned how to seek out support if needed. Disability West Lothian ran this course for West Lothian childcare organisations and practitioners to develop their ability to question, reflect and implement good practice in supporting children with Autism, ADHD and challenging behaviours within their settings. Participants were also provided with an understanding of recognised frameworks, undertake practical activities in evaluation and problem solving and be given information on access to resources for good practice.